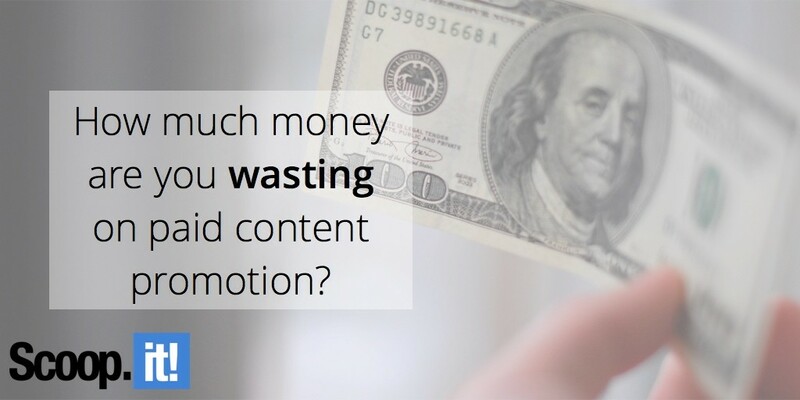 How much money are you wasting on paid content promotion? How do you get more traffic from content marketing? You can either create more or better content, or you can distribute that content better. In the latter case, it’s likely you’ve considered paid content promotion. And rightly so: if your content performs, it makes sense to promote it, right? The thing is, does it perform? The whole ROI equation for paid content promotion is in that “if”. Promoting content that doesn’t perform is wasting money while promoting content that performs is money well spent. “Half my advertising is wasted, I just don’t know which half” said John Wanamaker. Do you know? So now let’s say you want to double the performance of your content with paid content promotion. If you’re focused on the right content marketing analytics KPI’s, it’s likely that lead generation is the stat you want to double. So let’s see the various ways you have to generate 1,280 leads with the same 13 pieces of content. What a lot of marketers tell us they do is that they spend a similar amount of money on each piece. This rule has the benefit of being super easy. But is it efficient? Each piece gets exactly $902 worth of promotion. Is the budget you’ll need with this method. Let’s compare it with other methods that use data to optimize results. Buy 2,000 clicks for each top performing piece to double its 2,000 organic visits. Buy 500 clicks for each average piece to double its 500 organic visits. Buy 250 clicks for each low-performing piece to double its 250 organic visits. Now let’s see what this would look like if the KPI that matters to you is lead generation. Again, there’s some difficulty in doing this and I’ll cover that below. But let’s say you knew which are the 2 top performing posts from a lead generation standpoint. What would you do? Simple: bet everything on red! Allocate your entire budget on these 2 posts. Now you’re only spending $6,400 to double your content performance, a 45% savings on your initial budget. This model is of course oversimplified. But no matter how sophisticated the model is, in real life, you’ll have the same phenomenon. The way you allocate your paid content promotion budget makes a huge difference in the results you get. So you might be wasting up to 45% of your paid content promotion dollars by not allocating it properly. How can you fix that? To do the right allocation, you need data. You need to know as much information in real-time as possible to understand how your content is performing. And not just from a traffic generation standpoint: from a lead generation standpoint. This is precisely why you need predictive insights – or what we call content marketing intelligence – to guide your promotion efforts. Content marketing intelligence technology starts analyzing your content in real-time as soon as you’ve done some organic promotion. This means data on traffic but also leads generated for each piece of content. From there you can make several decisions: update or fix content or amplify its impact with paid promotion. So you’re not spending money on the low-performing content – only on the top-performing ones. And you can repeat this indefinitely as the data evolves. As we’re consistently suffering from information overload (or content shock), marketers are fighting for limited attention from their target audience. To overcome that and get results, it makes sense to pay to play. But by doing so without having the technology to gather the data, you’re wasting a big part of this budget. With the predictive insights that content marketing intelligence system brings, you can allocate your budget dynamically on your topic performing content and generate much better ROI from paid content promotion.